During the Korean War August was in Japan and off the coast of Korea on the USS Ajax (AR-6), a repair ship, where he was the Communications Officer. He later served on the USS Chewaucan (AOG-50), an aviation gasoline tanker that supplied the carriers in the Mediterranean Sea with fuel. On that ship he was the Navigator and Executive Officer, second in command to the Captain. 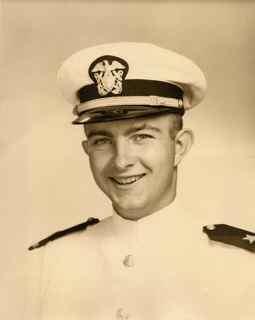 August served in the U.S. Navy from 1953-1956.